Wow – we hope that you had the chance to watch the full race. We had it on from the starting cannon to Heather Jackson crossing the line. And every minute was worth watching. We know not everyone loved NBC’s coverage. But we had the live stream on from NBCSN all day (Apple TV), and we have to say that every year gets better and better. First, hats off to our winners – Daniela Ryf and Patrick Lange. What amazing races. We cannot deny we were pulling for Kona rookie Lucy Charles and the always inspiring Lionel Sanders to pull it out. But for both, 2nd place would have to do. Amazing races by not only those who finished on the podium, but for everyone who toed the line at Kona this year. As always, thanks for reading AeroGeeks. And if you want to see us check out something we haven’t yet, make sure to let us know in the comments below. Unfortunately, we do have a bit of bad news to share in our WiR this week. 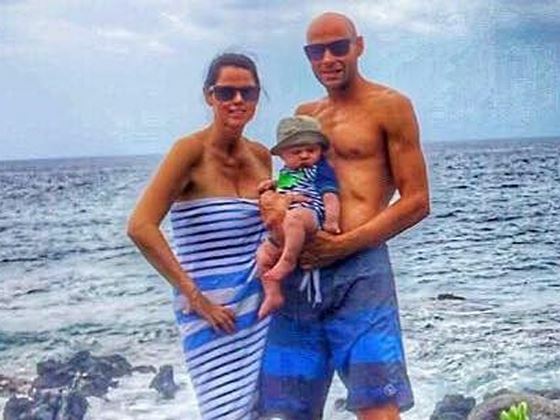 Matt Russel (pro triathlete) was hit by a car while on the bike course yesterday. We cannot imagine what his family must be going through. But as they say, everything helps. A YouCaring campaign has been started for his family – https://www.youcaring.com/gillianrussell-981213. Head on over to learn more about Matt and his family and to see if you can help. This week we brought back Readers’ Rides with this great one from Terence. He started with a Diamondback Serios AF frameset and then added a HED Corsair integrated cockpit/stem and SRAM Force22 group. Power is transmitted via a Quarq Elsa crankset 54t/39t. He rides on a Reynolds Assault/Strike mixed wheelset with Michelin Power Competition tires. The pictured saddle is out, and he is swapping to an Ism PN 2.1 soon. 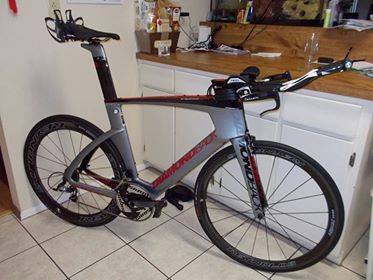 “I’m just over 6’4″ and saddle to bar drop is nuts, with that current saddle I can’t rotate my hips fully to get comfy.” He’s hoping a TT/Tri-specific saddle solves that. Oakley has made a big push the last month or so into triathlon, and for those who did finish atop their age groups at Kona, they had something for you! Oakley awarded the all new Oakley ARO5 and Oakley ARO7 helmets to the fastest female and male cyclist in each age-group, and they gave a limited-edition Oakley Radar Pace™ to the entire podium for each age-group. Additionally, during the IRONMAN World Championship athlete check-in, Oakley randomly selected 200 lucky participants to receive a Golden Ticket to win a Radar Pace. We haven’t gotten a shot to go in-depth with the new ARO line yet. And for those who haven’t caught the details, in 2018, Oakley will launch the Oakley ARO Series – a range of road racing helmets specializing in seamless optics integration, aero performance and thermoregulation. The Oakley ARO Series Cycling Helmets include Oakley ARO7, the helmet of choice for time trials and triathlons; Oakley ARO5, tuned for speed and ready for heart-pounding sprint finishes; and Oakley ARO3, engineered for those unforgiving climbs and the blistering heat. Stay tuned for a future review of the ARO7, ARO5, and Radar Pace. And to all those who stood atop their podiums, congratulations on your race and your new gear!